Some devices are so simple and ubiquitous as to be almost invisible in the studio. And while you will never find clients choosing your studio on the basis of having a great mic stand, shockmount, or pop shield, it is exactly these devices which can keep a session running smoothly. Aston Microphones has taken the same innovative approach we’ve seen on the Origin, Spirit and Starlight microphones to developing their own shockmount and pop shield. 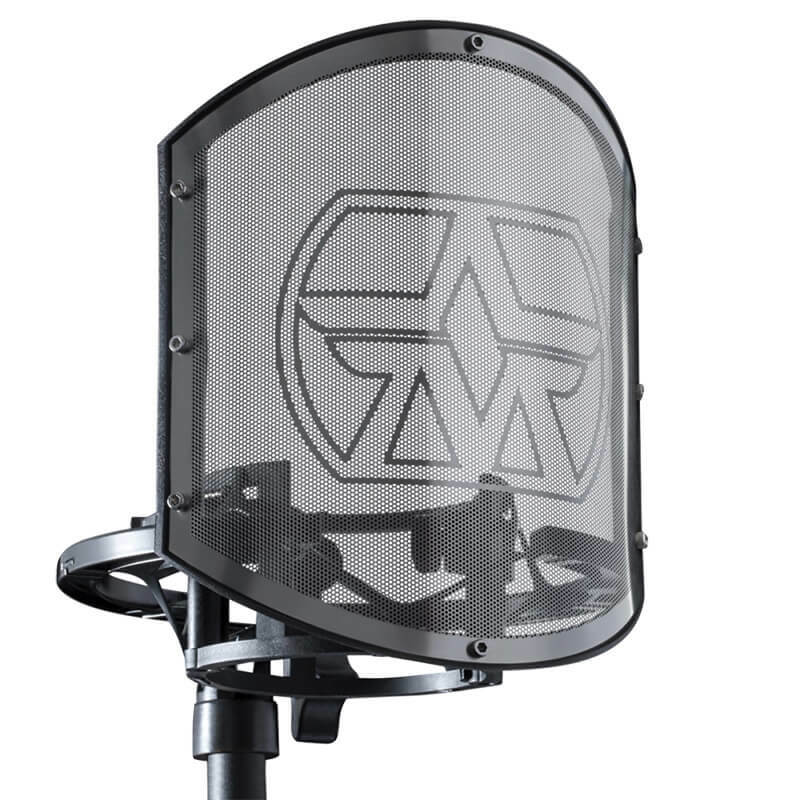 The SwiftShield is made up of the Aston Swift shockmount and Aston Shield pop filter. Both units have been designed to make set up as quick and easy as possible. The Swift shockmount replaces the usual elastic shockmount systems used on standard spider shockmounts for a new ShockStar suspension system, which the company hopes will offer greater longevity, easier use, and maximum isolation. Only time will tell how this material ages, but straight out of the box the Swift was very easy to use. This system is coupled with two quick release spring clips which make it incredibly simple to sit your mic in position. The Swift shockmount fits any mic with a diameter from 40–60mm, and as you would expect, we had no issues at all mounting our Aston Origin in the shockmount. With the mic in place, the Aston Shield simply slides into place onto the Swift mount, holding it firmly in place, covering the front of the shockmount, from about an inch below the centre of the mount to five inches above – easily enough to cover most mics, although, while our SE RNR1 ribbon mic fit into the stand, the top of the mic does protrude above the pop shield. But this is a fairly rare example. Similarly, this shockmount and pop shield pairing will only suit side-address mics. For all other circumstances, Aston still has you covered with the Shield GN, which pairs the Aston Shield with a high-quality sturdy gooseneck clamp.